Our team of experienced doctors allows Southern Heights Dental Group to provide high-quality, comprehensive dental care to the Faribault community. Get to know our doctors and their areas of interest below. Dr. Ted Erickson attended the University of Minnesota, Duluth and graduated from dental school in Minneapolis in 1972. After a two year residency in the U.S. Navy, Dr. Erickson came to Faribault in 1974 and is a founding member of Southern Heights Dental Group. Dr. Erickson and his wife Jamie have two children, Andy and Lizzy. With many years of experience and expertise in dentures and oral surgery related matters, Dr. Erickson finds joy in helping the older patients of our practice. Licensed by the State of Minnesota. Dr. John Poppenberg was born and raised in Bemidji Minnesota. He graduated from the University of Minnesota, and completed his dental training at the University of Minnesota School of Dentistry in 1985. Upon completion of a general practice residency, Dr. Poppenberg joined Southern Heights Dental Group. Dr. Poppenberg enjoys all areas of general dentistry. In his spare time, Dr. Poppenberg enjoys running, cycling, golfing, reading and most anything that gets him outside. His favorite get away is to the family cabin in Wisconsin. As an avid traveler, he loves to hear travel and cabin stories, and suggestions for fun and interesting places to see. Dr. Poppenberg is married with two grown children. 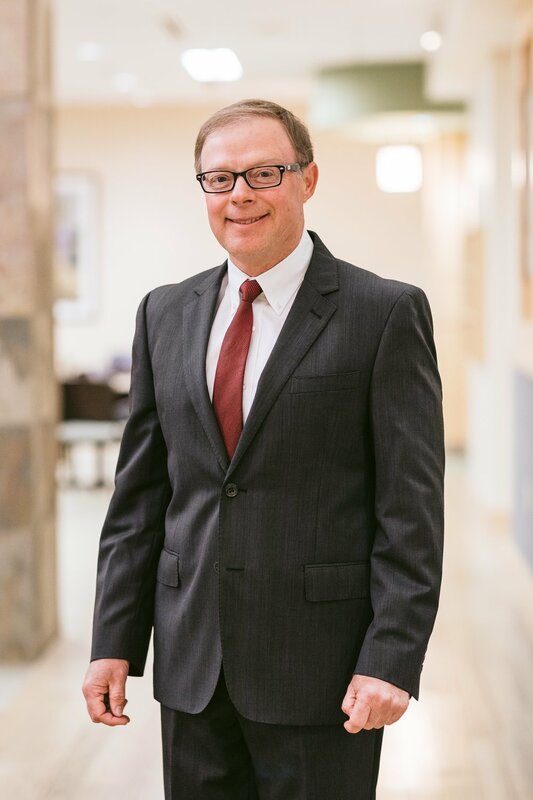 Dr. Jeff Forslund completed his undergraduate degree from the University of St. Thomas and graduated from the University of Minnesota School of Dentistry in 1988. After graduating, he served 4 years in the Navy and has been with Southern Heights Dental group since 1993. When asked about his favorite part of dentistry, he responded, “I enjoy all aspects of Family/General Dentistry and have a special interest in helping people with sleep apnea and TMJ problems”. A Diplomate of the American Board of Dental Sleep Medicine. and International Association of Physiologic Aesthetics. Dr Anne Huffer received her Bachelor of Arts in Biology from the University of St. Thomas in 1997. She then attended the University of Minnesota School of Dentistry and graduated in 2001 with her Degree of Dental Surgery. Dr. Huffer has been practicing dentistry at Southern Heights for the past 12 years. She is dedicated to serving the entire community of southern Minnesota by assisting them in their overall dental health. Dr. Huffer especially enjoys working with families to help patients of all ages achieve and maintain their ideal smile. Dr. Huffer is married to Dr. Peter Thurnau and they have four sons aged 6-14. She loves her active life with family, reading, traveling and relaxing! Dr. Peter J. Thurnau, a local native, was born and raised in Owatonna, MN. He is a 1997 Graduate of the University of St Thomas and a 2001 Graduate of the University Of Minnesota School Of Dentistry. From 2001-2004 he served in the US Air Force. He also has completed one year of Advanced Education in General Dentistry Residency at Wright-Patterson Air Force Base Medical Center. Dr. Thurnau joined Southern Heights Dental group in June 2004. Dr. Thurnau is married to Dr. Anne Huffer and they have four sons aged 6-14. He enjoys spending free time with his family, and keeping up with their busy schedules! Dr. Brock Lund is dedicated to patient care and advancing his skills in dentistry. He has attended hundreds of hours of continuing education in areas such as endodontics, prosthodontics and cosmetic dentistry. Dr. Lund loves working with patients who need crowns, bridges, and root canals. Dr. Lund was born and raised in Albert Lea, Minnesota. He attended the University of St Thomas from 1992 to 1995 majoring in Biology and Chemistry. After graduating from the University of Minnesota School of Dentistry in 1999, Dr. Lund moved to Colorado to advance his training in general dentistry. 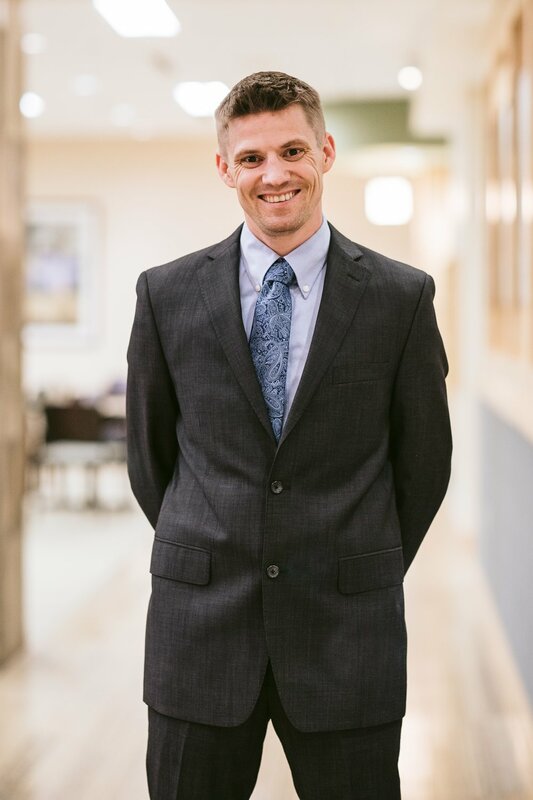 Upon completion of a general practice residency at the Denver Veterans Affairs Hospital in 2000, he moved back to Minnesota and joined Southern Heights Dental Group. Dr. Lund and his wife Bridget are parents of two daughters and a son. Dr. Lund’s time out of the office is filled with spending time with his family, downhill skiing, biking, and running. and the Minnesota Dental Association. Dr. Daniel Johnson completed his undergraduate education at Bates College in Maine where he also excelled in cross country running and skiing. He attended Dental School at the University of Minnesota graduating in 2012 and completed an Advanced Education in General Dentistry Residency in 2013. He served 5 years in the United States Navy as a Dentist leaving Active Duty in 2017, but maintains Reserve status. Dr. Johnson enjoys all fields of dentistry with special interest in complex treatment involving restorative and esthetics as well as surgical procedures. He is an Associate Professor at the University of Minnesota School of Dentistry and is also pursuing his Masters in Public Health in order to facilitate bringing quality dental healthcare to those in need. Dr. Johnson is married to Julie Johnson Rolfes, a Pediatric Neonatology Fellow at the University of Minnesota, and has two children. He enjoys outdoor activities including hiking, hunting, and nordic skiing. His favorite season is Fall, but only in Minnesota. Member of the Academy of General Dentistry, American Association of Public Health Dentistry, American Academy of Implant Dentistry, Academy of Sports Dentistry, and the American Academy of Cosmetic Dentistry. Licensed by State of Minnesota. Dr. Thomas Rohs attended Augustana College prior to graduating from the University of Minnesota School of Dentistry in 1978. Dr. Rohs was the owner of a dental practice in New Prague, MN for 25 years, and since 2004 has practiced in a variety of settings including a contract dentist for the Us Army in Bamberg Germany, serving people with special needs, serving in a rural clinic where access to dental services is not easily available, as well as serving on Dental mission trips to Jamaica and Peru. Dr. Rohs joined Southern Heights Dental in 2013. Dr. Rohs enjoys golf, photography, and helping those who fear dentistry obtain good care. He is married to Katie, and has two grown children and four grandchildren who bring much joy. and Minneapolis District Dental Society.